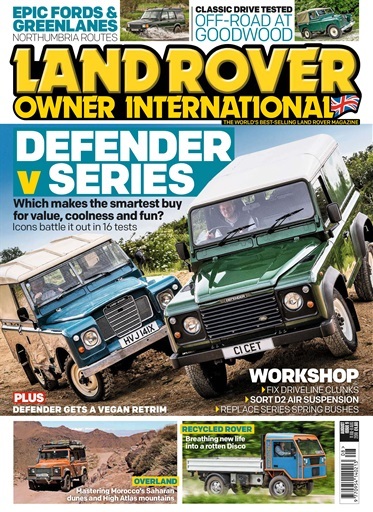 (0 Customer Reviews) | Write Review 12 issues per year Land Rover Owner International is world's best-selling magazine for Land Rover and Range Rover enthusiasts. Packed full of features the enthusiast will love – along with maintenance tips, locations to drive off-road and the best used cars for sale section. Looking for Land Rover Owner in print? 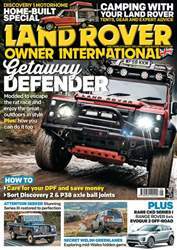 Unfortunately pocketmags.com does not sell print copies of Land Rover Owner, but all is not lost. Our partner at magazine.co.uk sells print subscriptions at the best prices online. On the face of it, there’s a huge gulf between a 300Tdi Defender and a 2.25 diesel Series III, but as weekend toys, they have more in common than you may think. But what are they like to drive, to live with and to fix? Which one would be better for you? That’s what we’re here for today; to chew over the differences, and examine the relative advantages and disadvantages of each. 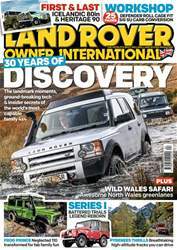 Land Rover Owner International is world's best-selling magazine for Land Rover and Range Rover enthusiasts. Packed full of features the enthusiast will love – along with maintenance tips, locations to drive off-road and the best used cars for sale section. 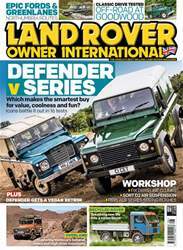 You'll receive 12 issues during a 1 year Land Rover Owner magazine subscription. 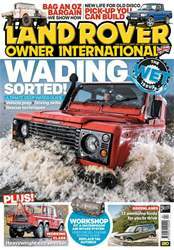 You'll receive 12 issues during a 1 year Land Rover Owner magazine print subscription.